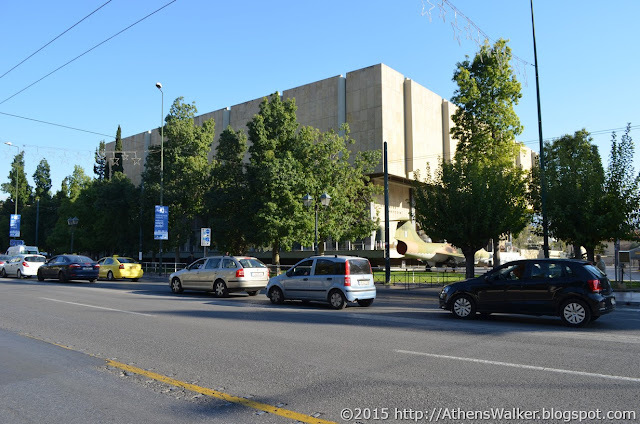 Previous posts presenting Athens streets have proven to be quite popular, so here is a short (photo-) essay in three parts, presenting one of the central avenues of Athens. 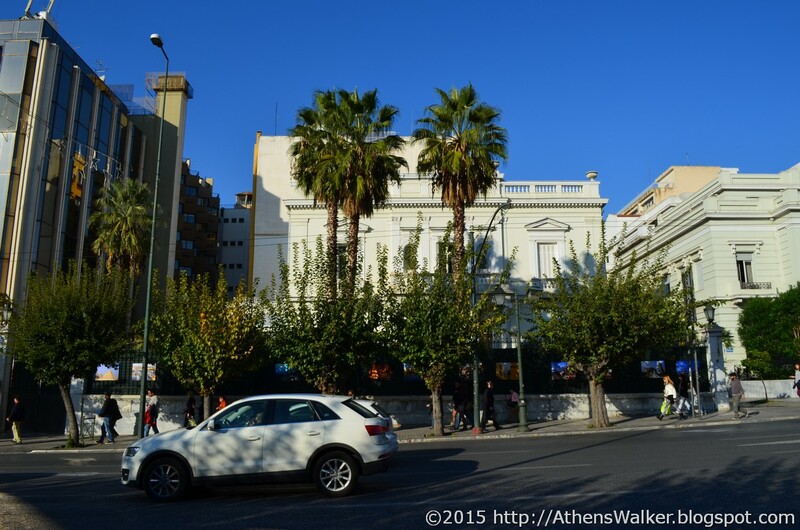 Vassilissis Sofias (Queen Sophia’s) Avenue, is one of the largest and oldest avenues of the capital of Greece and probably the most beautiful one. Travel guides often refer to it as “Museum Lane” due to the high concentration of museums nearby. 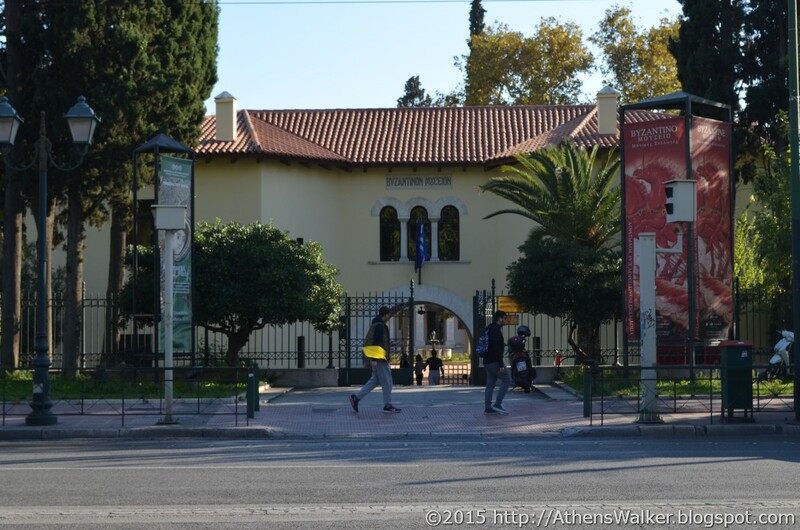 There are four museums along it (Theocharakis, Benaki, Byzantine & Christian, War) and another two on adjacent streets half a block away (Cycladic Art and National Gallery). As a mostly wide-paved, tree-lined boulevard, it is much more pleasant to walk than the average Athens street. 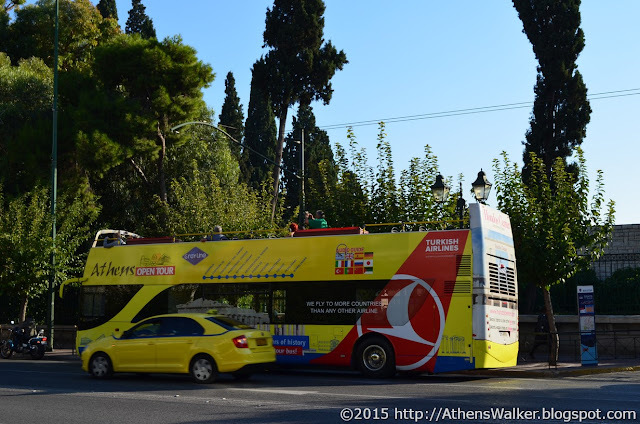 Here are some of the main spots of interest, starting from Syntagma Square, with the Grande Bretagne Hotel on your back and walking upwards. 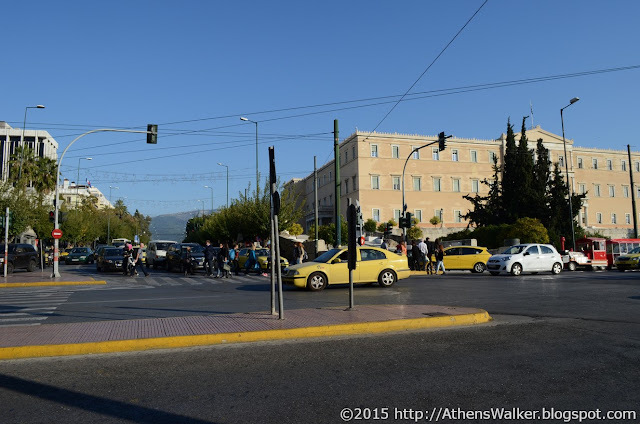 The start of Vassilissis Sofias Avenue, Athens, Greece - The Greek Parliament to the right, Ministry of Foreign Affairs to the left and Hymittos Mountain in the far background. The Grande Bretagne hotel is behind me. 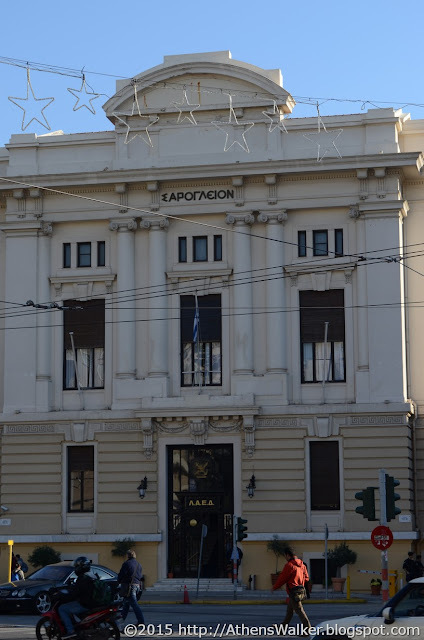 On your right hand side there’s the city’s largest block, with the building of the Greek Parliament (initially built as a Royal Palace in 1843) standing prominent over the city center. 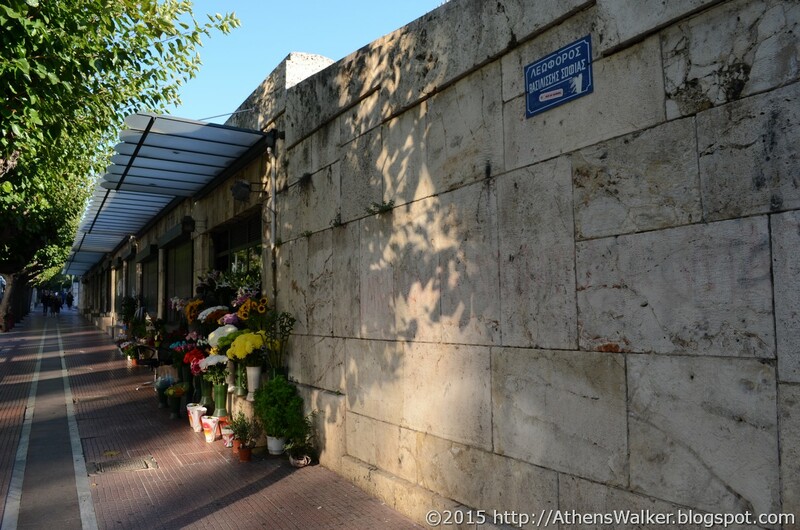 Flower-shops right next to the Parliament building, Athens, Greece; they have been in operation in this same location since around 1930. 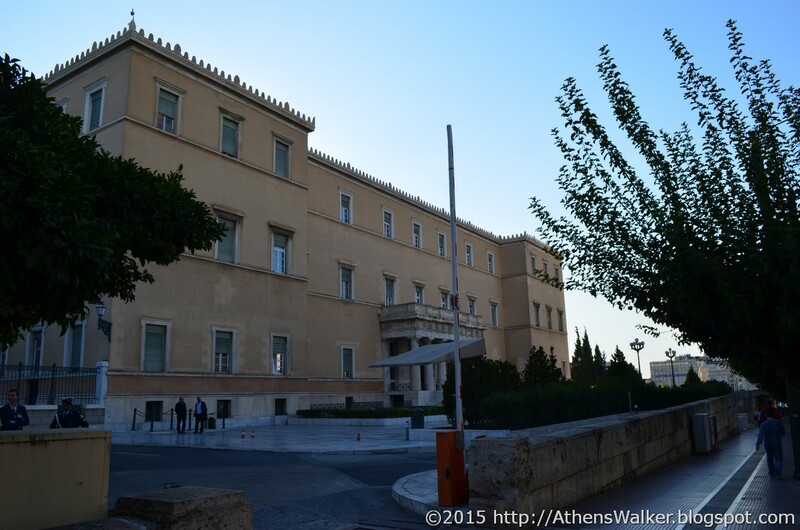 The side-entrance of the Greek Parliament, on Vassilissis Sofias Avenue. Right after the Parliament, in the same block, is the National Garden. 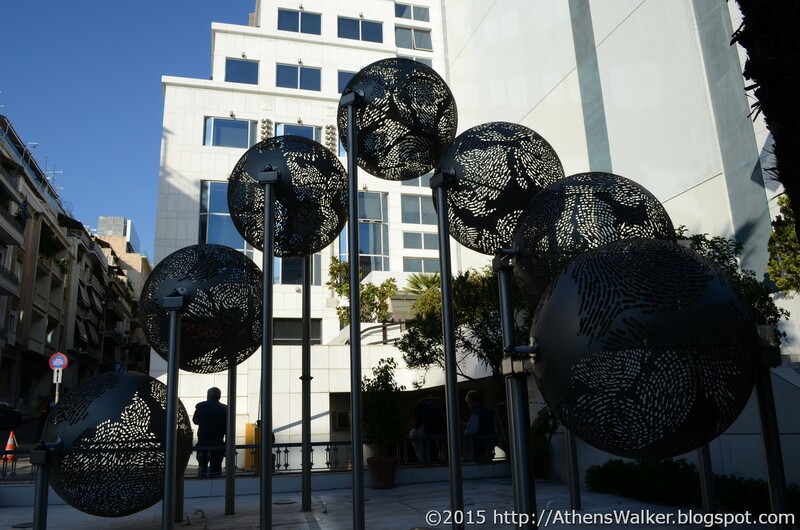 It’s the most interesting urban park in Athens and you’ll come to appreciate its shade and calmness if you walk around this area in the summer. One of its entrances is on Vassilissis Sofias, right across Sekeri St.. Continuing on the right, at the corner with Rigillis St. you’ll see the Sarogleio Mansion, built in 1932 to house the Greek Armed Forces Officers’ Club. Soon after, you’ll come across the Byzantine & Christian Museum and the War Museum before reaching Evangelismos Metro Station (Metro Line 3). 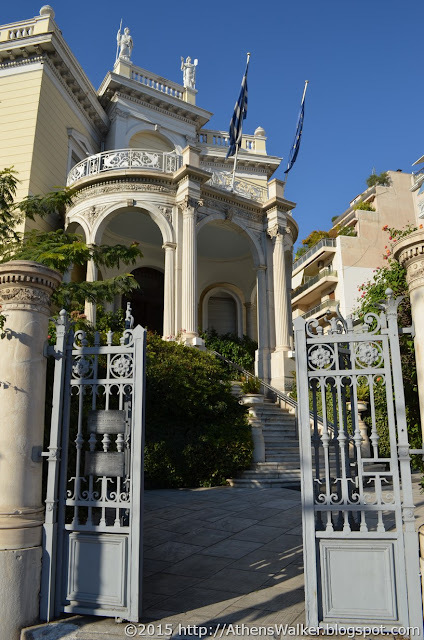 Going back to the beginning, on the left hand side of the avenue this time, Vasilissis Sofias starts with various buildings of the Greek Ministry of Foreign Affairs, in various architectural styles, and a large mansion housing the Embassy of Egypt, the first in a long string of foreign embassies all along, or near, Vassilissis Sofias. At the corner with Merlin St. sits the Theocharakis Museum of Visual Arts while two roads later you have the main building of the Benaki Museum (at the intersection with Koumbari St.) and the Cycladic Art Museum at 4 Neofytou Douka St. These are all part of the -still partly upscale- Kolonaki neighborhood. You'll also see various old mansions or upper-class apartment buildings which are for the most part well maintained. 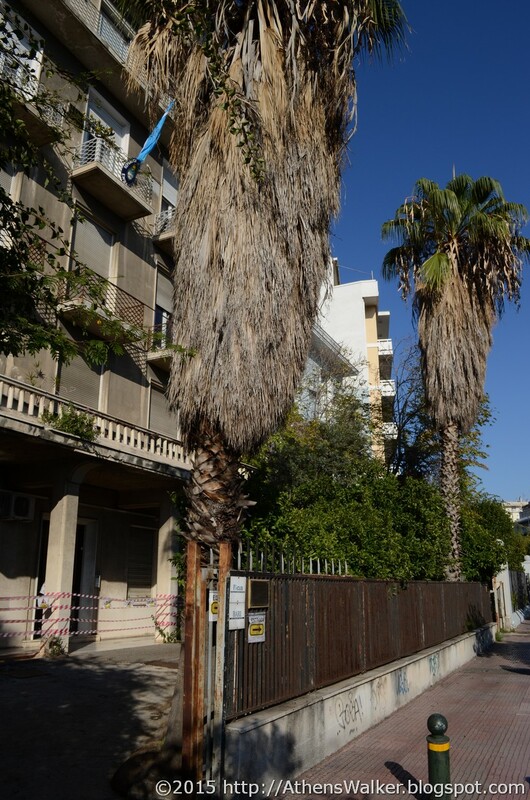 Most of them are occupied by foreign embassies, law offices, doctor’s offices, maritime companies and the like. The only eye-shore in this otherwise pleasant route is the building housing, among others, the Embassy of the fellow-bankrupt Republic of Argentina, right after Evangelismos Metro Station. 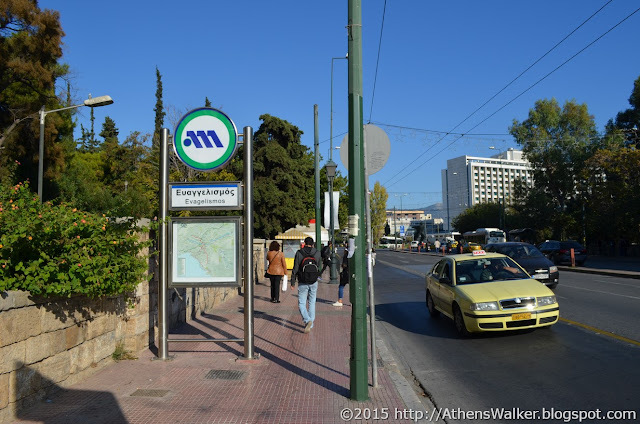 Athens Metro sign, marking Evangelismos Metro Station, Athens, Greece - less than half-way along Vasilissis Sofias Ave. But, let's make a pause at Evangelismos Metro Station and come back in December for part 2 of my photographic walk along Vassilissis Sofias Avenue. Why don't you follow me on Twitter and Facebook?